Here you can find a range of music and arts related venues throughout Louth. The Heritage Centre has on permanent display the documented history of the town with the first references to the Vikings in the area circa 850 AD, through the Anglo-Norman & Medieval eras and into modern times. This historical exhibit is embellished with maps, drawings, illustrations, photographs and a DVD presentation for all to enjoy. Available for hire, Exhibitions, Lectures, Craft Fairs, Workshops, Visual Arts, Drama, Music, Dance, Community Events, Concerts. This former school and teachers’ residence was built in 1844 around the same time as the adjacent church, St. Andrews. Built on a site donated by the Upton family who were prominent in the area at the time. Constructed in the same Gothic style as St. Andrew’s with steeply pitched roof, cast iron diamond lattice windows and arched fenestration and doorways. It was a one-teacher one-classroom school with the teacher living in the adjoining two up two down residence. Over the years numbers attending fluctuated, and eventually in 1968, the school closed. heritage preserved. The schoolhouse was officially re-opened in August 2013. A short step from the house, the cottage walk leads you towards ‘Tippings Wood’ and as you pass through the wonderfully crafted stone arch, a lake of 1.2 acres lies to your left. As the amazing 200 acres of deciduous woodlands unfolds all around you, the ground rises to the summit of Tippings Rock, where views of Ravensdale, The Cooley Peninsula and the sea give you ample reward for your short climb. Nestled throughout the 200 acres of woodlands there are a wide variety of outdoor activities to cater for everyones needs. At Bellurgan Park activities promoting a healthy outdoor experience are centred around a strong sense of community. Dundalk Institute of Technology is a 90 acre campus situated between Dublin and Belfast (each approximately 50 miles away). The campus is 1/2 mile from the main Dublin Belfast road and 3 minutes drive from the M1 motorway to Dublin. Dublin Airport is a 35 minute drive by car. Dundalk is served by the Dublin Belfast Train corridor and Dundalk's Clarke Station is approximately a 20 minute walk (or 6 euro taxi ride) from the campus. An Táin Arts Centre is the new independent arts space for Dundalk, Co. Louth based in the former Táin theatre, Town Hall, Crowe Street. The centre houses a 360 seat theatre, a 55 seat studio, a visual arts gallery and several workshop spaces. 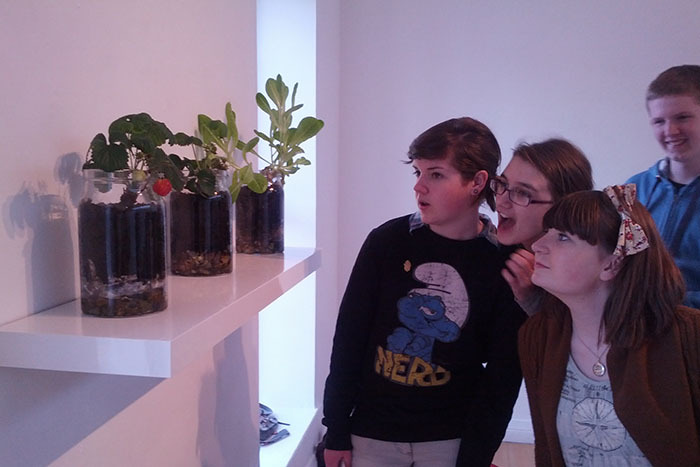 An Táin Arts Centre is the point of access to arts and culture for the people of North Louth, providing a diverse programme of local arts, national tours, workshops, visual arts and in-house productions. Concerts and other events run by Vere at Anaverna. 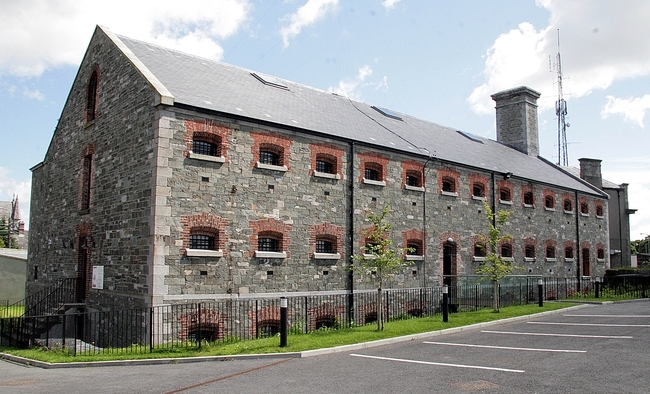 The Oriel Centre, based in Dundalk Gaol, is one of eight strategically placed regional resource centres under the auspices of Comhaltas Ceoltoiri Eireann www.comhaltas.ie servicing the five north eastern counties of Cavan, Monaghan, Louth, Meath and Armagh. The Oriel Centre combines the role of a resource centre, a visitor attraction, a social and a performance space and provides facilities for teaching, archives, recording, rehearsal, performance and session playing. 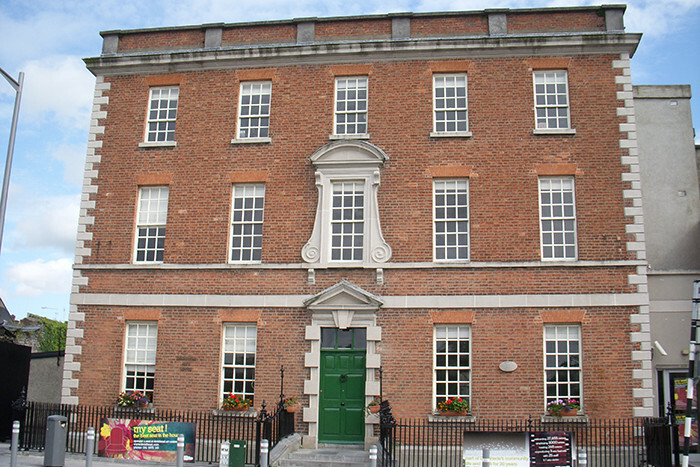 The County Museum, Dundalk is located in a beautifully restored late 18th century warehouse in the Carroll Centre at Roden Place in Jocelyn Street. Funded by Dundalk Town Council the museum opened in 1994 and offers an extensive programme of permanent exhibitions, temporary displays, drama presentations, music recitals, lecture and film. On a Sunday morning in late summer of 1748, the officer commanding the Dundalk garrison was returning from an early morning canter,when he noticed at St. Helena's Quay, a crowd of people assembled in and around an old shed. On enquiry he was told that they were Catholics attending Mass. Despite the fact that it was a penal offence, the officer was so impressed by the people's fidelity to their religion that he persuaded the first Earl of Clanbrassil to grant the Catholics of the town a site for a permanent church. 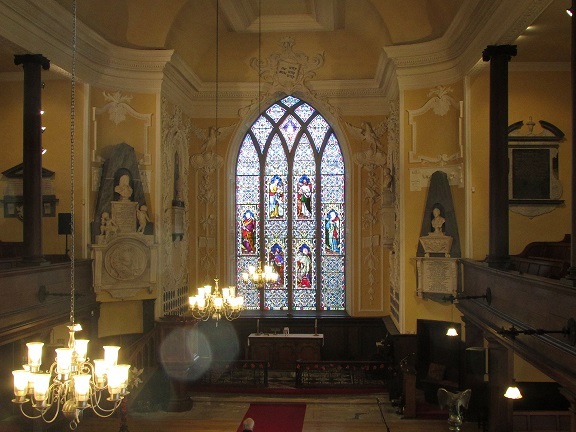 The first St. Patrick's was built in 1750 in Chapel St. This church served the needs of the people for almost a century. From 1843 it was used as a school and became the property of the Irish Christian Brothers from 1867. Fr. Matthew McCann (P.P. 1817-1836) acquired the present site for St Patrick's in 1834. He was succeeded as parish priest by Fr John Coyne (PP 1836-1848). During his time as parish priest the new St Patrick's was completed. The cost of this beautiful church was €25,000 and it took 12 years to build. Creative Spark, a Company Limited by Guarantee, operates as a not-for-profit social enterprise which aims to develop the local creative industries sector and support new and established innovative enterprises. Creative Spark, centre for creativity and innovation, launched in October 2012 with the goal of providing dedicated creative training and workspace facilities for new and established enterprises in County Louth – a place to work and a place to learn. Creative Spark was conceived with a clear focus on the development of the creative and innovative enterprise sector in this region and the use of creative practice to promote social engagement. Creative Spark corresponds to best practice principle that clustering creative and innovative businesses in a central multi-tenant enterprise hub can be a dynamic business stimulation strategy bringing wealth creation, job creation and knowledge advancement to an area. EU and national policies place a very firm strong emphasis on knowledge-driven businesses and industries, learning and skills, educational linkages and R&D as the absolute drivers of regional economies. Therefore, Creative Spark seeks to stimulate and develop the region’s small and medium-sized enterprise (SME) sector and operate as a creative and innovative hub for the region offering a range of facilities, services and opportunities. With an investment of just under €1.8 million in construction and fit-out costs from its funders (Enterprise Ireland, the International Fund for Ireland, Louth County Enterprise Board, PEACE III, Dundalk Credit Union, Oriel Developments, Louth County Council, Create Louth and Sustainable Energy Authority of Ireland) Creative Spark has state of the art facilities comprising twenty small business units, a suite of meeting and training rooms and creative production workshops which are available for entrepreneurs, innovators, business organisations and community groups to use. 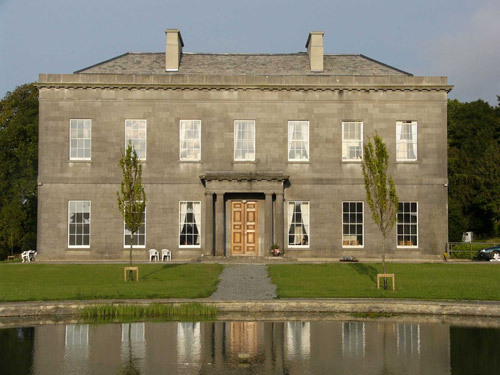 Listoke House and Gardens are situated on the Ballymakenny Road, Drogheda, County Louth. The Edwardian Garden are complete with grass tennis court and stand sentinel to another era. The owners of Listoke are welcoming and eager to share their precious haven and vast knowledge. Patrick & Patricia Barrow have had the gardens open to the public now for many summers. They have recently been joined at Listoke by their daughter and son in-law Juliet and Raymond Gogan and their 4 boys. Juliet and Raymond have brought new life to Listoke by rebuilding on the foundations of the original Georgian house (Listoke House) which was demolished in 1958. The new house is very much in keeping with the surrounding buildings in the courtyard. 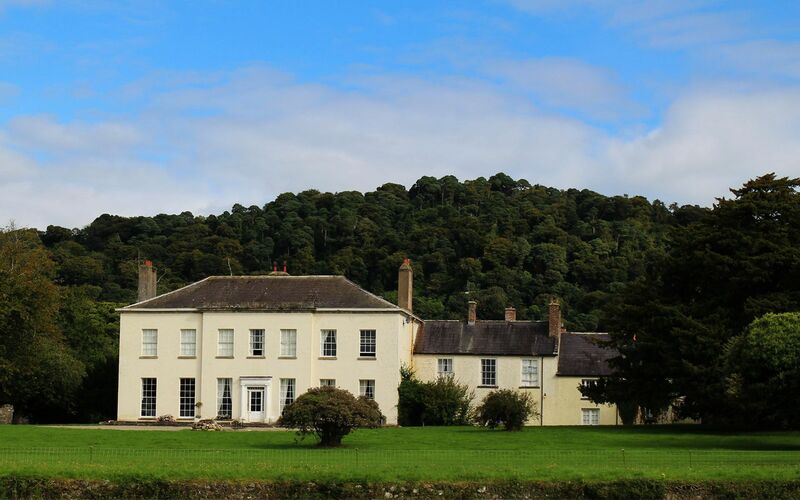 As well as being a beautiful relaxing place to visit, Listoke is also available for Weddings, Meetings and other social occassions. Our Autumn/Winter opening hours for the Pavillion Tea Rooms are 11am to 4pm Thursday to Sunday. Townley Hall is a magnificent Georgian mansion built just over 200 years ago on a hilltop setting. Today it is surrounded by 60 acres of rolling parkland overlooking the Boyne Valley, very close to the site of the famous battle. The location is strikingly beautiful and peaceful. The new TLT Concert hall & Theatre is a purpose built, state of the art 900 seat theatre for Drogheda and the North East, that will stage a variety of performing arts and commercial events. There is an overall capacity for up to 1200 persons and maximum seating capacity for 900. The theatre includes a school of music, rehearsal rooms and other purpose built ancillary facilities. Beaulieu is one of the first unfortified houses built in Ireland. Situated on the banks of the River Boyne, it was designed around an old Plunkett property by Sir Henry Tichbourne, who was granted a Patent in 1666. The house is a rare example of late C17th architecture in the Artisan Mannerist style, with a hipped roof, tall chimneys and delicate brick dressings. Fine interior plasterwork and a dramatic ceiling painting by artist Willem van der Hagen can be seen along side exuberant Baroque trophy carvings of musical instruments and weaponry in the Great Hall. A fine collection of family portraits, each with a story to tell, completes the decorative scheme, unaltered since the 1720s. 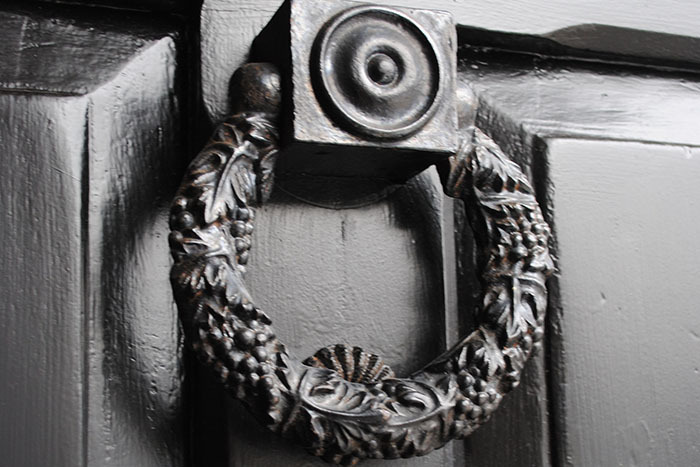 House and garden are open for guided tours between 1st June and early September, and by appointment for groups of 10, or more, at other times of the year. A tour guide will show you round with a tour lasting about 50 minutes. The vibrant walled garden, with a double herbaceous border and south-facing terrace, is self-guided and contains many unusual plants and trees for the gardening enthusiast. 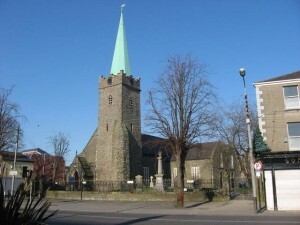 The Barbican Centre (St. Peter’s Parish) is located on William Street in the heart of Drogheda adjacent to the Laurence Town Shopping Centre. The Barbican Centre is a multi functional building equipped for Entertainment, Education and Enterprise. 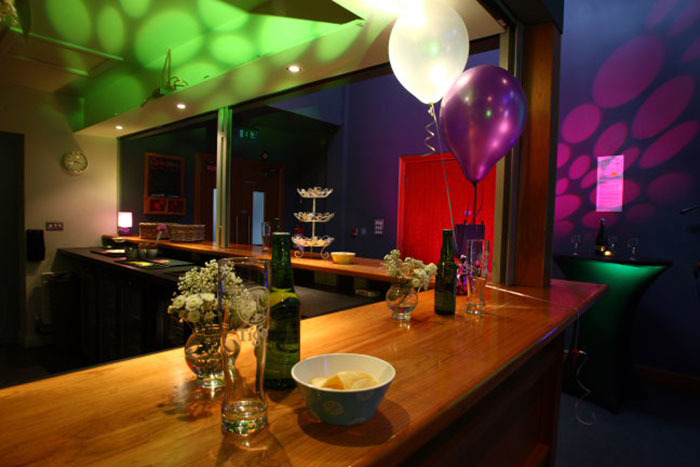 The Barbican Centre comprises of the following: 500 seat Theatre with state of the art lighting & sound systems; Large dance studio with walled mirrors - The best and biggest in Drogheda! Five training and education studios suitable for all types of training, workshops and meetings; Office and 'Hot Desk' hire. We also have a lift for easy access to our studios and Kitchen facilities to make that much needed cuppa tea! Have a browse through our website, and if we can assist you in anyway, do not hesitate to contact us. St Peter’s is part of a parish union of seven churches. There is now a new website for the parishes of the Union – Ardee (Ardee and Collon churches) and Kilsaran (Castlebellingham, Dunleer, Dunany and Drumcar churches). There is also a section dealing with genealogy – the registers of St. Peter’s go back to the year 1653, shortly after Oliver Cromwell’s visit to our town. After a terrible arson attack on the church in 1999 there was a huge restoration project which gave us new buildings and new opportunities for service to the community. We seek to be at the heart of Drogheda and friends to all. rogheda School of Performing Arts was founded by Brenda Gogan in 1997. In 1998 Louth Leader, the EU funded company for rural development, gave the school grant aid which made the restoration of The Little Duke Theatre possible. This gave the school a space specifically for training and the performance of student shows which has been instrumental in the rapid development of the school. The theatre has also been used as a venue for professional productions, poetry readings and music recitals. Each week several hundred students come to the school for either after school classes in drama, dance and singing or full time and part time FETAC (Further Education And Training Awards Council) credited drama and theatre performance courses. A well established administration and highly trained tutors, all of whom are themselves performers, directors or choreographers in professional theatre, are part of the infrastructure of The Drogheda School of Performing Arts. To provide a social outlet for children and young people. To provide a space where children and young people can find an expression for imaginative form. To help students discover and build upon life skills. To provide training of excellence for students with special talents for the performing arts. The Little Duke Theatre has also established contacts with many well known production companies and casting directors across Ireland and the UK. This has meant that our students are fequently invited to audition for professional work in the world of film and theatre. ighlanes Municipal Art Gallery opened its doors on October 4, 2006 and was the culmination of many years planning to deliver a dedicated visual art space for the Irish north east region, of an international standard in terms of design, management, environmental control and security. Droichead Arts Centre/ Stockwell St.
Our theatre has an intimate feel; featuring a large stage area (W7.57m, L10.35m and H5m) and comfortable 169 fixed rake seating with substantial leg room. It is serviced with a professional lighting and sound system which is managed by the in house Technical Manager John McGovern. 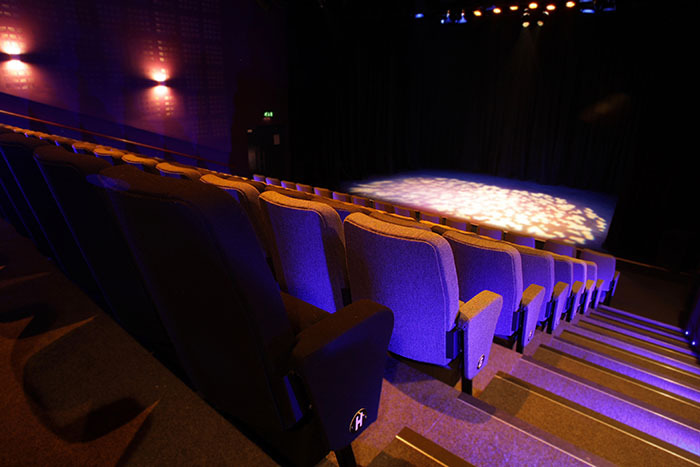 The theatre is utilised 80% of the year for a variety of events including, professional, semi-professional, and community performances, concerts, launches and conferences. The theatre also boasts a large film screen and projector to facilitate cinema, live opera screenings, and presentations. This is a large and bright exhibition space with lighting from both the skyline and four adjacent windows. The gallery leads off the box office area and is easily accessible to the public. It also features a sprung dance floor. The gallery’s curatorial programme is devised through a number of processes including; a bi-annual request for professional artist submissions, special once off commissions, curatorial collaborations and residencies. Work has also been conceived and been produced inside and outside the confines of the gallery in site specific locations. In addition to exhibitions we present an extensive programme of related talks and workshops with artists each year. The centre has a fully stocked café bar for our audience to enjoy. The café measuring W4.88m x L6.64m is a cosy space, hosting some of Droichead Arts Centre’s contemporary art collection. On an evening of a performance, why not come along early and soak up the atmosphere with a glass of wine or cup of coffee. We have a small stage area which can be fitted in the corner of this space to host poetry readings, talks or small acoustic music events. The café also facilitates a screen and projector. This space is ideal for small private parties, launches, reading and artist gatherings. It is the oldest surviving centre of settlement in the town with a dramatic history and many stories to tell. 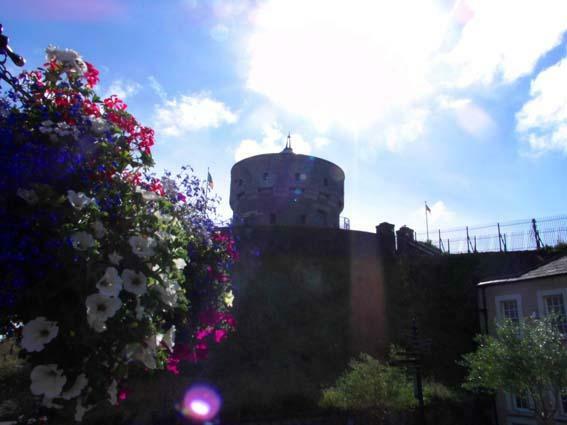 The whole fort is now the Millmount Cultural Quarter, including craft shops, art galleries and café and artisan food centre. Young or old - what ever your interests - you will enjoy a warm welcome and a great day out!